Surprise Payment Come From Affinity | AdsWiki - Ad Network Listing, Reviews, Payment Proof & Advertising News. Today,I have a pleasant surprise to received the payment come from Affinity. 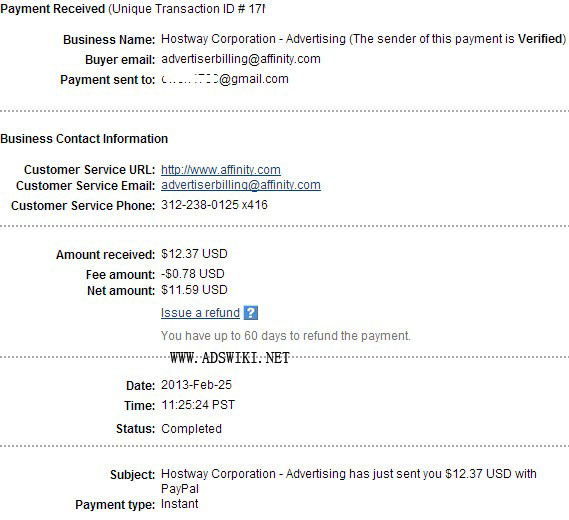 I have removed the ads of Affinity on Jun 2012 and did not attain their minimum payout of $50. But I received the payment now. Recommend you try this very great network.